Calling all fashionistas! Tour two of Atlanta's premier shopping destinations on this small group tour. Get ready for an unparalleled shopping experience, first visiting Lenox Mall and then Phipps Plaza. Roundtrip transportation is included from downtown Atlanta, Midtown and Buckhead. 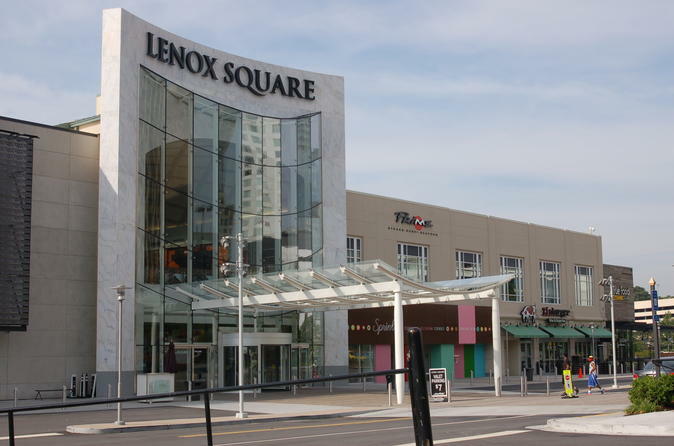 Since 1959, Lenox Square® has been the premier shopping destination for fashionistas throughout the Southeast. Located in the heart of Buckhead, Lenox Square offers an unparalleled shopping and dinning experience. This mall is the local hotspot to see and be seen, maybe take glimpse at a local celebrity. In the heart of Buckhead lives Atlanta’s “Rodeo Drive”- a few square miles of world-class shopping. This small-group, half-day tour from select hotels includes round-trip transportation to two of the city's premier shopping destinations- some of the best in the southeast United States! Lenox mall has an impressive two-story glass facade welcomes shoppers to three full-service restaurants: The Cheesecake Factory, Zinburger Wine & Burger Bar, and True Food Kitchen. This dramatic entrance showcases the iconic property’s street side presence, The mall boasts retailers such as Bloomingdale's, Neiman Marcus and Macy's and features nearly 250 specialty stores like FENDI, Burberry, Cartier, David Yurman, Louis Vuitton, Diane von Furstenberg, and Vineyard Vines. Your next stop is Phipps Plaza, the ultimate in luxury shopping.Phipps Plaza, the southeast's premier, upscale shopping destination, the beautiful and climate-controlled indoor shopping mall boasts 100+ stores like Saks Fifth Avenue, Nordstrom, Jeffrey Atlanta, Tiffany & Co., Gucci and more. In addition to being able to shop categories like women's and men's apparel, children's apparel and jewelry, Phipps Plaza offers plenty of entertainment with a 14-screen AMC movie theatre and LEGOLAND Discovery Center attraction.